Have you heard of the Little Free Libraries? They’re mini book exchanges (Leave One, Take One) located in communities across the country. 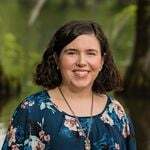 Now, New Hanover County Parks & Gardens, in partnership with the New Hanover County Library, are testing out their own versions of the exchange. New Hanover County has installed two test libraries in Wilmington, North Carolina. The first is in Kings Grant Park on the north end of the county. The second is located in Arrowhead Park at the south end. Both are community parks with playgrounds and courts, and were chosen due to the active neighborhoods that surround them. 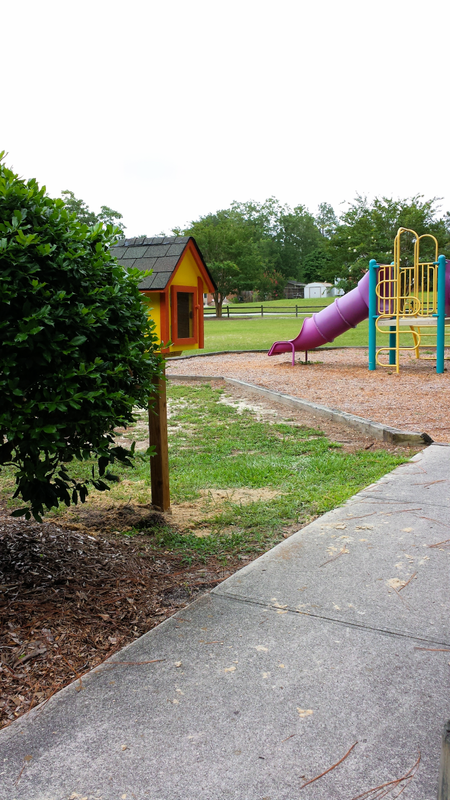 If there are no issues with these first two libraries, more will be installed at other parks in the county. The Parks & Gardens department built the cute house-like structures that house the books and New Hanover County Library filled them up on installation. The library has a contact in each neighborhood, who has volunteered to monitor the library for inventory and misuse. For now, the exchanges are being referred to as Little Free Libraries, like the national exchange chain, but will likely take on a new name specific to the Wilmington area. If you’re in the Kings Grant or Arrowhead areas, you’re invited to stop by the parks to participate. Just remember, if you take a book, you need to leave one. We don’t want to ruin the fun for anyone, especially the neighborhood kids. Also, keep in mind that all age groups have access to the libraries, so no mature books (erotica), please. More information on park amenities and hours of operation can be found at the New Hanover County Parks & Gardens website. Access hours for the Little Free Libraries are the same as the park they’re located in. 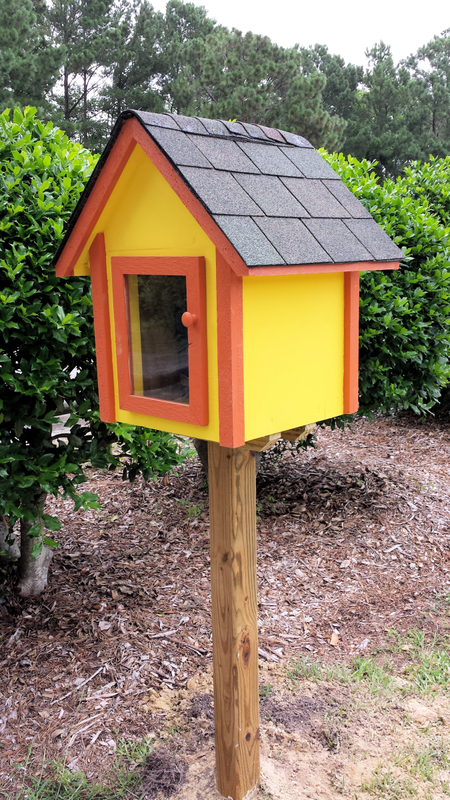 Have you tried out one of New Hanover County’s Little Free Libraries? Let us know in the comments!